The Moon was a 29% waning crescent and in the same part of the sky and to the south of the comet. The sky was getting lighter. There was a hint of barely visible noctilucent cloud above low tropospheric cloud. 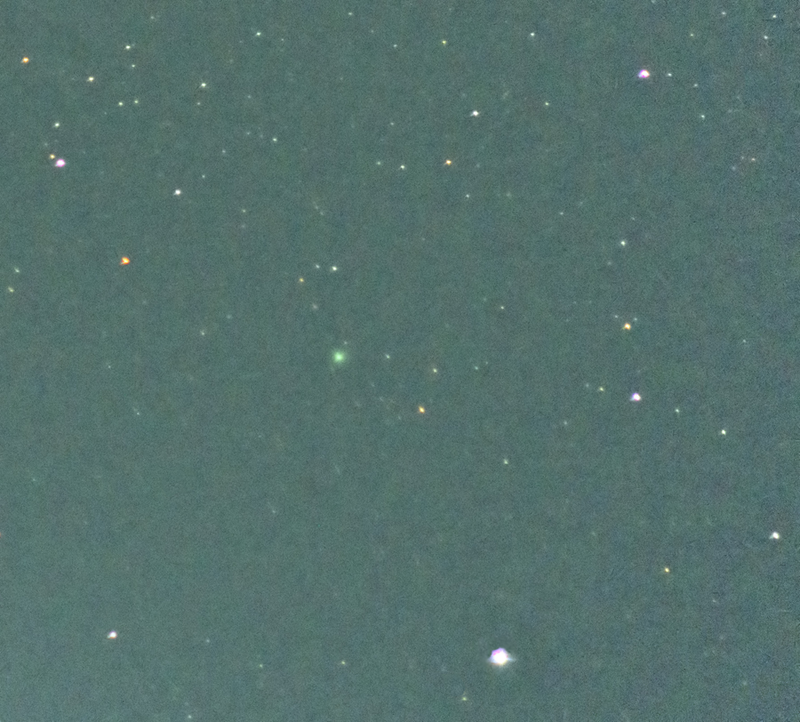 With 15 x 70 binoculars it was not possible to tell that there was a comet close to Alnath in Auriga. It was likely visible, but would have appeared just as a faint star. 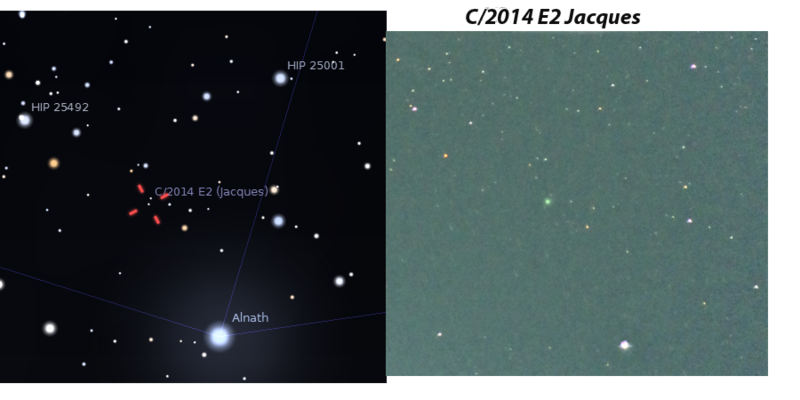 The Moon and the bright Sky conspired to make the comet difficult to see and to image. A telescope with larger aperture would have produced a better image.